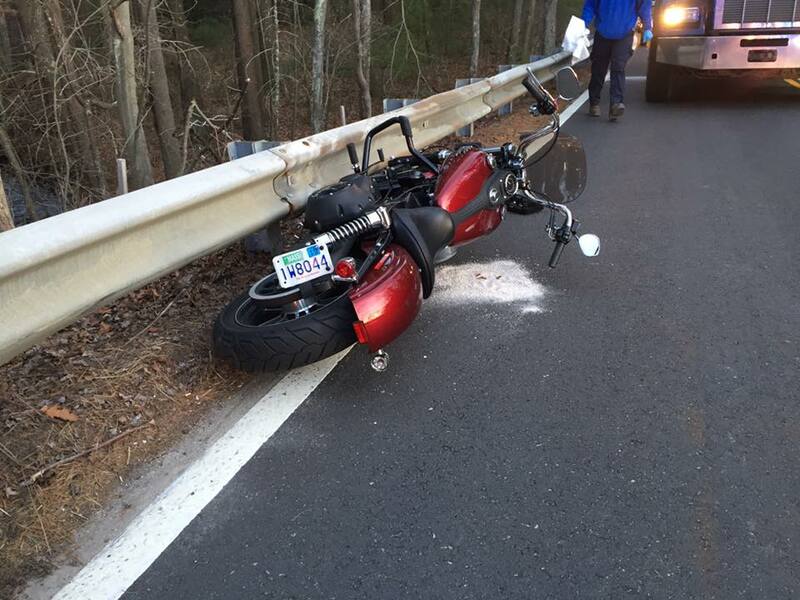 One person was transported to a local hospital after a motorcycle crashed on Putnam Hill Road in Sutton on Thursday. In a post on Facebook, the department thanked 2 bystanders for calling police and helping at the scene. The identity of the driver, or cause of the crash, was not released.